Founded in 1960 by the late David Gammon, Transcriptors was one of the World’s leading manufacturer of manual turntables, tone arms and accessories, and one of the most modern Hi Fi manufacturing plants in Europe during the 60’s, 70’s and the early 80’s. Many readers will be familiar with our turntables, which have been widely used in numerous television commercials, and in many films, including the classic 1971 film ‘A Clockwork Orange’ which used our 1964 Hydraulic Reference turntable in various scenes throughout the film. Our products have been copied and reproduced all over the world, from the ‘Concept 2000’ and the ‘Audio Linear’. 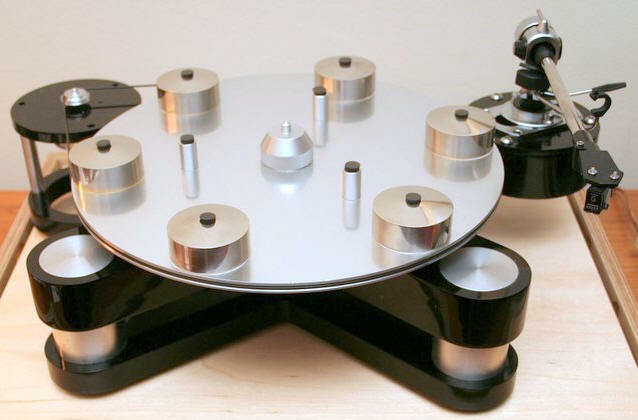 Even today’s modern turntable design’s bear there origins to the striking designs that were designed by David Gammon, perhaps no better compliment could be paid to his famous turntables. In 2000 Transcriptors led by Michael Gammon returned to the world of high-end analog audio. Transcriptors are no new start up company, they were a well established and well respected high-end audio brand with a legacy of ground breaking analog audio designs. Michael Gammon has a background in production engineering, especially plastics/acrylics. Michael Gammon 's engineering expertise and experience lends itself well to exploiting 21st century CAD techniques production and quality control values to the classic designs. Transcriptors are made individually upon order. Michael Gammon estimates a 6 week lead time for the customer to develop a fever of anticipation. Spare parts, replacement parts and other special requests are all available on demand. Michael Gammon draws Transcriptors parts individually, these CAD drawings when ready are fed into a high-tech CAD metal and acrylic fabrication process to create the renowned high performance Transcriptors turntable parts. Transcriptors parts are build to match ultra precise tolerances. This is done with all current hi-tech Transcriptors turntable components. Copyright © by Transcriptors and SOLID STATE AUDIO. All Transcriptors products at Solid State Audio come with full factory warranty. Transcriptors from dedicated specialist Solid State Audio.